Highlands Reserve will be attractive to those potential real estate buyers who want to be on a golf course. Its location is a bit farther from the attractions, however, because it has golf, the location is less of a concern. Highlands Reserve is a little older and will appeal to those that are not focused on location. The community is great for a true 2nd home buyer, where you visit Orlando often and for those who love to play golf. It is not gated and has fewer amenities. This is an amazing 3 bedroom, 2 bath home with a large backyard that features a greenway. Located in a great community, Highlands Reserves, that offers so much as a golfing community. The community also features tennis courts, pools and sidewalks throughout the community so you can take those strolls in the evening and early morning. BACK ON THE MARKET. This gorgeous home in Highlands Reserve with a south facing pool plus spa and no rear neighbors. Fully Furnished Is currently in a rental program with the property management company. Occupancy this year 90%. Perfect turn key investment. New AC was done in 2016, new pool pump in 2017, new pool heater in 2017. Also a great home for residential. *****JUST REDUCED***** Wonderful Pool Home *****Welcome home... this fully furnished cosy 4 bed 2 bath home in Highlands Reserve is just waiting for you to move in. Great open plan layout, a spacious living area that is flooded with natural light, a galley style kitchen with dining area over looking the sunny pool deck. Well-maintained family home in a golf community in Highlands Reserve. Backyard is fully fenced for privacy, no rear neighbors and expert landscaping is on point. Inside has splendid features such as a combined living and dining area, a downstairs master suite, a spacious kitchen with breakfast nook and wooden flooring in the family room. A must see single story 4 bedroom 2 bathroom home with a wonderful view of the golf course and woods. The home is turnkey ready to move in for residential, vacation or a short term rental investment property. The home has an excellent rental history and current rentals can convey to buyer. Come see this 4 bedroom, 2 bathroom private pool home on the popular golf community of Highland's Reserve. This property can be used in multiple ways, the community allows both long term and short term rentals, so would be perfect for an investment or to use as a vacation home. Beautiful golf front 4 bed 3 bath home with heated pool, large covered lanai overlooking the tall pine trees onto the first hole. Large master retreat with king size bed, his and her walk in closets, garden tub with separate shower, dual sinks, sliding glass doors to the pool area. Spacious kitchen for preparing meals and or entertaining, seating area in the kitchen looking onto the pool. Another superior 6 bedrooms, 4 baths fully furnished home in Highlands Reserve GOLF COURSE community in Davenport Florida. This is a large corner lot Property with heated pool, a hot tub and plenty of deck space for fun in the sun or have it made in the shade under the covered lanai. A top of the line turn-key home with spectacular views of the Highlands Reserve golf course. Quality renovations define this 5-bedroom, 3-bath home. One such example is the east-facing saltwater pool boasting a brand new pool cage, an electric pool heater updated in 2017 and an upgraded walk-in shower in the pool's bathroom. With stunning views of Highlands Reserve Golf Course, a west facing pool & spa and close to 3000 sq feet of living space this home is definitely one to see. This 5 bed 3 bath 2 storey home - a Lennar built Canterbury model, offers 2 large separate living areas, a chef's kitchen with large breakfast nook/ dinette and a downstairs bedroom with walk in closet. Fully furnished 5BR holiday home w/private pool and golf frontage! You?ll experience the ?WOW? factor as soon as you step inside-home is tastefully decorated and nicely appointed. Heart of the home boasts an expansive/open kitchen and living room. Fully equipped contemporary kitchen (appliances included) w/plenty of counter/cabinet space and breakfast bar. WOW... this is a highly desirable Engle built Emerald model with the most amazing views of Highlands Reserve Golf Course, the stunning pool deck faces West and overlooks 4 fairways 13, 14, 15 & 16... there are very few homes in Highlands with such spectacular views. BEAUTIFUL 6 BEDROOMS, 3 BATHS HOME IN DESIRABLE HIGHLANDS RESERVE GOLF COMMUNITY. OPEN FLOOR PLAN WITH OVER 3000 SQ. FT. THIS OVER SIZED LOT EXPANDS TO THE BACK TO PINE TREE LINE. This is the one you have been waiting for! This absolutely gorgeous and immaculate 5 bedroom 3 bathroom pool home in the desirable community of Highlands Reserve is now for sale. 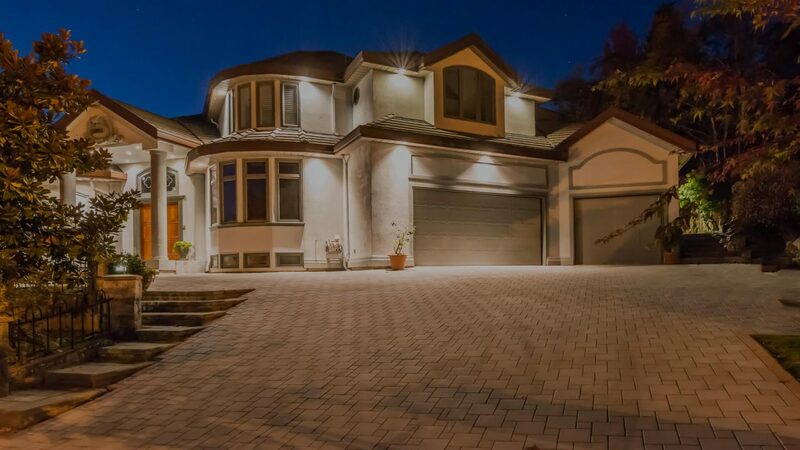 It has curb appeal, it backs onto the golf course, it is completely ready for vacation rental, it truly is a turn-key property or it is amazing as your family home. Palm trees and golf... so very Florida.. This stunning home ticks all these boxes. 5 bedrooms, 3 bathrooms, just over 3000 sq ft and surrounded by Palm trees and overlooking the 1st hole of Highlands Reserve Championship Golf course. SPACIOUS open plan home with just over 3,000 sq.ft of living space. Large lot expands to a rear hedge and further pine trees onto the golf fairway. Exquisite WEST facing views for you to delight in the evening sunsets. Enter through the double doors to a tile floor motif. Formal dining to the right and bedroom to the left which if desired can convert to office or den and more. Your search STOPS here! Come see this AMAZING **SIX** bedroom, FIVE bathroom home in a highly desirable golf community. This HUGE home sits on the biggest Engle Floorplan in Highlands Reserve. It boasts 3,825 SF of wide open living space. This home has a wide open floor plan that is perfect for entertaining family and friends.